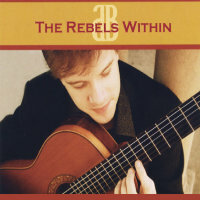 ‘Gladios, Adam Brown’s second solo album after The Rebels Within, showcases works by prominent Latin American composers – Lauro, Montes, Barrios, Piazzolla, Chávez and Brouwer. The album is an excellent presentation of classical guitar music from Latin America and deserves to be heard whether you are a devoted classical-guitar enthusiast or an occasional listener. 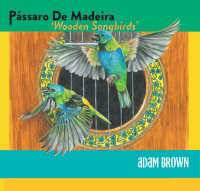 Adam Brown is a wonderful talent, deeply musical and at once audacious and sensitive in his interpretation of the pieces he has chosen to perform. The CD opens with Antonio Lauro’s Virgilio (Bambuco tachirense). This is a very strong and spirited opening track and Brown performs the piece with passion and verve. The skill and refinement of Brown’s playing allow for great clarity in the melody and the bass line creates a wonderful counterpoint. Lauro’s Seis por derecho, is played with much flamboyance and élan. The irresistible enthusiasm of Brown’s playing here rivals any recording I have heard (as a contrast check out the wonderful piano rendition by Clara Rodríguez on her CD Venezuela). Again despite the complexity of the piece there is great clarity and precision in Brown’s expression and execution. In contrast, the second track, Preludio de adiós by Alfonso Montes has a beautiful haunting melody as Brown’s guitar positively sings with a passionate yet dreamlike tenderness. Vals No. 4 by the great Agustín Barrios is rich and exquisite in its cheekiness. As in all his performances, Brown’s delivery is effortless, heartfelt and bewitching. This is my favourite piece on the album; the changes in tempo and mood are magical and Brown captures the spirit of the waltz to perfection. Tracks 5 and 6, also by Barrios, seem very personal interpretations and Brown places his own personality, colour and expression onto very popular pieces. Danza paraguaya in particular is exceptional and demonstrates Brown’s vitality and technical mastery of his instrument. Julia Florida is in the main slower than other recordings I have heard but it is graceful and appears to be a very reflective and intimate expression of this famous piece. The three tracks by Astor Piazzolla are a delight, a contrast to much of the CD, but well chosen. The pieces are played with passion and tenderness, rawness and warmth and the harshness of some of the music is interlaced with exquisite melody that leaves the listener enthralled. The Three Pieces for Guitar by Carlos Chávez, are quite distinct. Here the compositions can sound dissonant and moody and require a little more effort on the part of the listener. However, Brown again connects closely to the music through his rendition of the pieces, evoking a range of feelings in the listener from desire and longing to faraway serenity and calm. These pieces demand a high technical level which Brown delivers as he showcases his wide-ranging ability on the guitar and communicates the mysticism and lyricism of Chávez’s works. The final track is a musical tour de force, a distinctive and memorable piece with which to round off the CD. Leo Brouwer’s Cuban Landscape with Bells is simply formidable, as haunting as it is passionate and heartfelt. The playing is superb and Brown brings out all the colour, intricacy and fire of this complex piece. 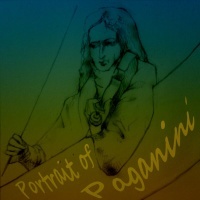 He uses numerous technical skills such as ligado, wonderful rasqueado and broken chords and his use of harmonics to create a campanella effect is exceptionally sophisticated. Brown indeed paints a rich and vibrant Cuban landscape through a charismatic and truly soulful performance – dramatic, evocative, beautiful. 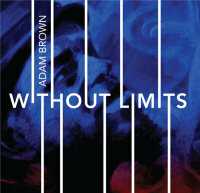 Adam Brown is a performer of the highest level. He communicates respect and admiration for the pieces he plays and one can only feel respect and admiration for his accomplished performance of this eclectic mix of music. Gladios is highly recommended, an excellent addition to the collection of any classical guitar devotee. The music is wonderful, the performances powerful and Brown’s musicianship rises to the challenge of some complex compositions. Gladios should offer many pleasant listening hours to lovers of classical guitar music and will no doubt attract the attention Brown manifestly deserves and garner considerable critical acclaim. 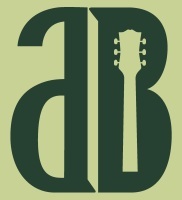 Adam Brown is undoubtedly a name for the future. ‘‘You play beautifully, musically, accurately and persuasively. I’m a happy composer today! 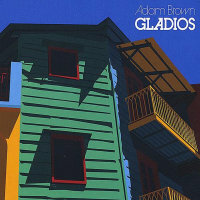 ‘Building on the success of his much celebrated 2009 debut album, Adam Brown has recorded his second disc, Gladios. While his first album focused on contemporary music, Brown has decided this time to highlight the lovely and diverse music of South America. The works he selected are a careful balance of the main-stream and the more obscure. In the case of the more familiar compositions, Brown’s technique and interpretations are truly masterful. Julia Florida, for example, a familiar work to guitarists everywhere, is so immaculately adorned by Brown with subtlety and nuance that it will satisfy even the most discerning of tastes.